Peacefully, on Friday, January 30, 1998, at the Mary Potter Hospice, Wellington. 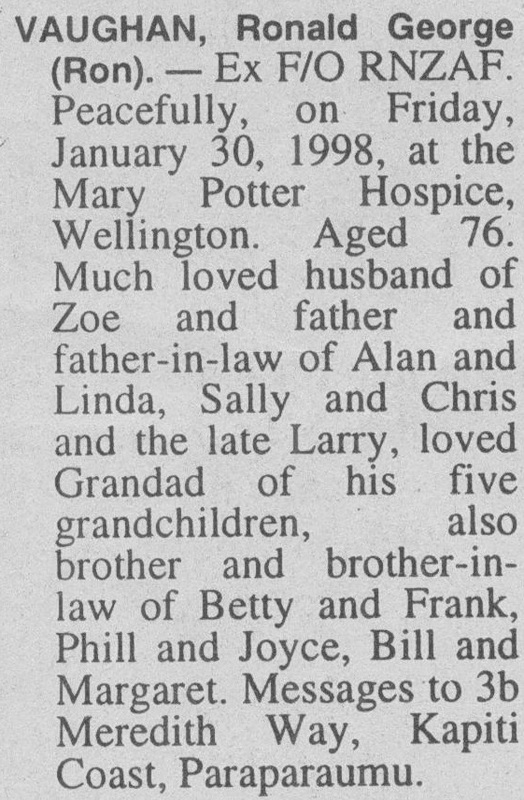 Much loved husband of Zoe and father and father-in-law of Alan and Linda, Sally and Chris and the late Larry, loved Grandad of his five grandchildren, also brother and brother-in-law of Betty and Frank, Phill and Joyce, Bill and Margaret. Messages to 3b Meredith Way, Kapiti Coast, Paraparaumu.